Stoffel Vandoorne has revealed he will race in Formula E for new entrant HWA RACELAB at the end of the Formula 1 season. McLaren announced in September that Vandoorne will leave its team at the end of the season, with Lando Norris partnering Carlos Sainz in an all-new driver line-up in 2019. The Belgian has now confirmed he is switching to Formula E with Mercedes-affiliated HWA, and will test for the team on Tuesday in Valencia before heading to the United States Grand Prix. Van Doorne will partner newly crowned DTM champion Gary Paffett in the two-car squad. While new to FE, HWA is a longtime entrant in the DTM championship, where it manages the AMG Mercedes team and builds the Mercedes DTM cars and engines. It also builds Mercedes Formula 3 race engines. “Today, a new racing series, a new challenge and a new team for me has been announced: I will be making my Formula E debut in the 2018/19 season as a member of the HWA RACELAB squad,” Vandoorne said. “I am honored that HWA have signed me for their Formula E program. HWA are such a great team with a long and successful history in motorsport. All the people I’ve met so far are really passionate about racing. Also, it’s great to work alongside such an experienced driver as Gary Paffett. I am pretty sure that we will benefit from each other during the season. Mercedes team principal Toto Wolff has previously given Vandoorne his public backing as he was seeking an F1 seat, and the 26-year-old is now part of the team that acts as a forerunner to a full Mercedes manufacturer entry in the 2019/20 season. “The team name HWA RACELAB bundles the DNA of HWA AG,” explained Ulrich Fritz, HWA RACELAB team principal. “Since the company was founded in 1998, our core area of expertise has been developing, researching and running cars in motor racing. In order to compete successfully in the ABB FIA Formula E Championship, the focus on, and confidence in, these areas of expertise will be particularly important. RACER understands HWA is also close to finalizing a Formula 2 entry in 2019, having recently announced it will race in the new Formula 3 championship that will replace GP3. The sport has a long way to go, but the headlines about it are staggering. This series will be exciting for a while. I've always liked it, loving the fact that it's getting bigger and better. I attended the MiamiEPrix with my daughters and I had a blast. Most of my friends made fun of me because I liked it but I'm used to that - I live in the US and my favorite sport is F1 so been there done that. Whatever is best for racing. Formula E isn't a parade at least. It has a long way to go but it's definitely forward thinking and numerous manufacturers are involved. It's filled with great talent. The women currently on the list include Sauber Formula One test driverTatiana Calderon, Formula 4 driver Amna Al Qubaisi, British Formula 3 winner Jamie Chadwick, Supercars driver Simona de Silvestro, BMW Motorsport’s Beitske Visser, IMSA driver Katherine Legge, and former Lotus F1 development driver Carmen Jorda. They’ll make up nearly a third of the drivers at the test. Formula E starts its seasons at the end of one year and runs them well into the next, meaning the 2018-2019 season starts next month. This year’s opener and the site of the test session is the street circuit in Saudi Arabia, which, as you might know, has a record of human-rights abusesinvolving but not limited to women and people on the LGBTQ+ spectrum. Women have only legally been able to drive in the country since June of this year, after all. Haa ... I just finished video 2 at lunch. I'm stoked for this weekend. Yea, and it's getting bigger and bigger every year. I still have friends that say stupid stuff like 'I can't hear them!' but there's great racing and I love the tech involved. I just watched the shakedown today at half power - lookin' saucy!! I can't wait to see these things unleashed at full power!! Rushbrook insisted that there is "still room" for Ford on the FE grid even though it will hit its 12-team, 24-car capacity with the arrival of Porsche in season six in 2019/20. "It would mean joining up with an existing team, partnering with someone on the grid today," he said. 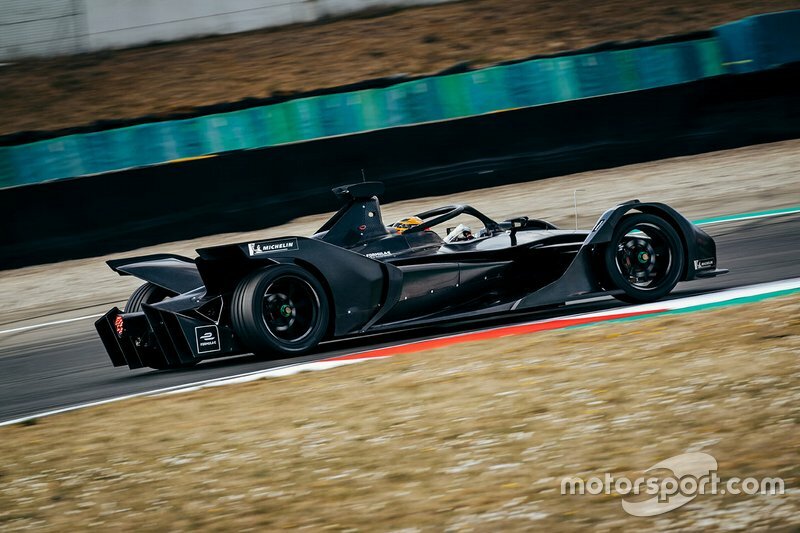 Rushbrook appeared to rule out an entry into WEC's the new hypercar concept prototype class that will come on stream for the 2020/21 season. He said that a common set of regulations between the premier classes of the WEC and the IMSA SportsCar Championship was "a big part of what we were aiming and hoping for". It appears there is little enthusiasm for the hypercar rules among the North American championship's existing participants in the Daytona Prototype international category on grounds of cost. But Rushbrook didn't rule out an IMSA entry in the DPi category, even though the category doesn't allow for hybrid technology under present rules that will remain in force until the end of 2021. "I will say that DPi is on the table and part of it is driven by the budget that is related to it," he explained. "While DPi isn't electrified today, I don't know that it won't be in the future." It is widely anticipated that the Ford GT programme will end after the existing commitments, but Rushbrook insisted that there was "always the option to continue it". It’s been two years since Formula E lost their London ePrix at Battersea Park, the series’ season finale. The rumor mill has been active ever since with speculation of a UK return—now, we’ve finally got confirmation that the series will be back in London. And the circuit—partially indoor with 23 turns—is going to be the wildest one during the season. The previous London ePrix took place at Battersea Park, which became a point of contention for NIMBY neighbors who were not cool about the fact that there were race cars in their family park.Trying to find a well-trafficked location in a city center is one of Formula E’s main challenges when it comes to race organization, and it’s been one of the toughest parts about orchestrating London’s return. 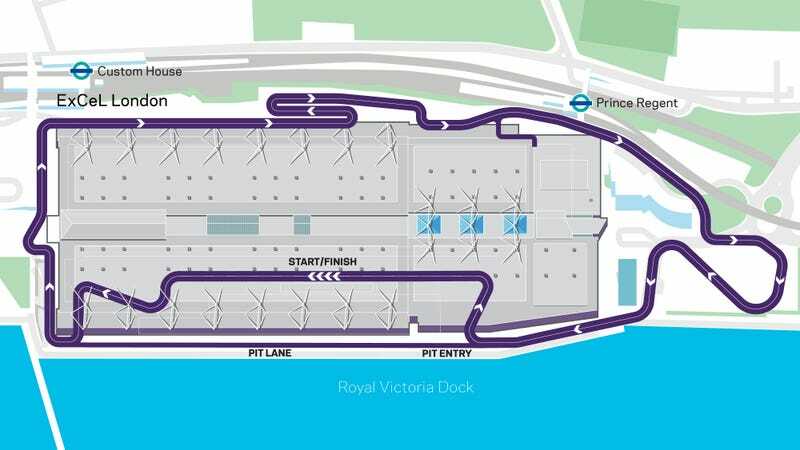 The next London ePrix, which will make its return as the double-header finale of the 2019/20 FE season, will be located at the city’s Royal Victoria Docks and ExCeL London (a convention center-like event space). Composed of a whopping 23 turns next to the Thames river, the circuit looks like it’s going to be a hell of a lot of fun. Most interesting, though, is that Formula E is advertising this as a “one-of-a-kind track indoor/outdoor” track. A what? Yeah. This circuit is designed to dip into and traverse the inside of the ExCeL London building before it shoots back out onto the street. This isn’t a move that any other racing series has pulled, with the exception of Monaco’s tunnel if you count that as an indoor space. One sharp 180 degree turn is one thing, but stacking one on top of the other? After you jump outside after a section of indoor track? That’s just cruelty. This is going to be a beautiful mess, and I’m here for it. Props to you, Formula E, for designing the absurd tracks that no one else will. 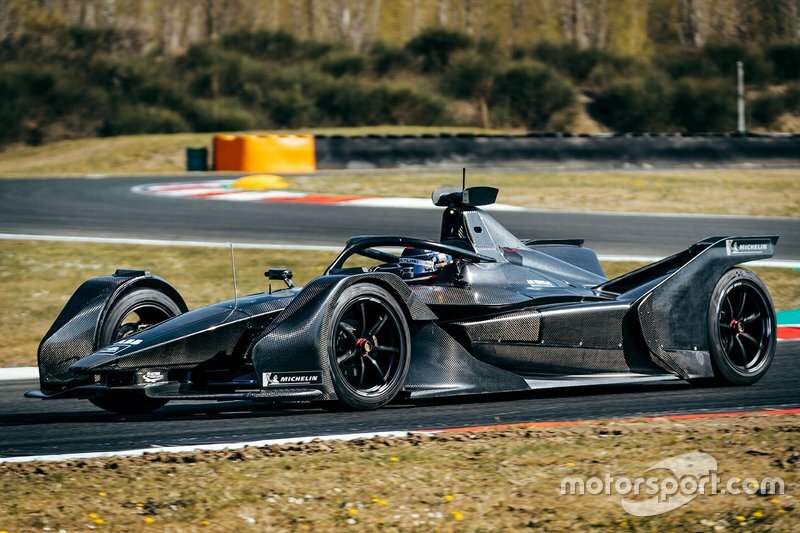 That said, Formula E notes that the circuit is still “subject to circuit homologation and approval of the FIA World Motor Sport Council,” which means the indoor-outdoor double-esses concept could still be nixed. Formula E and the Royal Docks have negotiated a “multi-year deal” for the London ePrix, so, no matter what, UK fans will have a home race for the first time in four years. Can't wait for Musk's tweets about how unfair the FIA is when his team doesn't win. This will be gold. The test took place over three days on March 27-29, with former Mercedes DTM driver and current Venturi FE racer Mortara driving in place of HWA's Gary Paffett, who was racing in the Intercontinental GT Challenge event at Laguna Seca last weekend.After running to the mandated 50km on the opening shakedown day, Mercedes reached a total distance of 527km over the final two days. Motorsport.com has clarified that these days have used up two of Mercedes' 15 manufacturer testing days that each powertrain builder is permitted to use ahead of the 2019/20 championship. "When a new racing car comes to life for the first time and goes out onto the track, that's always a very special moment," said Mercedes motorsport boss Toto Wolff. I'm getting really excited for the future of this series. An American manufacturer like Ford would do so much for the series. Oh yea, it's on like Donkey Kong now. I was mega worried at first, I went to the Miami ePrix and they almost couldn't give them away. There really wasn't too many people there. So yeah, from it being dead AF to now being huge with a stacked field (I mean c'mon, there's a ton of good racers and manufacturers there), it's here to stay. I dig it. Need to get rid of the spec formula for me to be interested. Season 1 was really bad, no tweaking at all. Same everything. I get that it's a conundrum. But it really irks me when the manufacturers pretend that these are unique cars made by the factory when they aren't. Maybe one the day series will have enough money to make the formula open. Pretty cool to see the cars jumping!